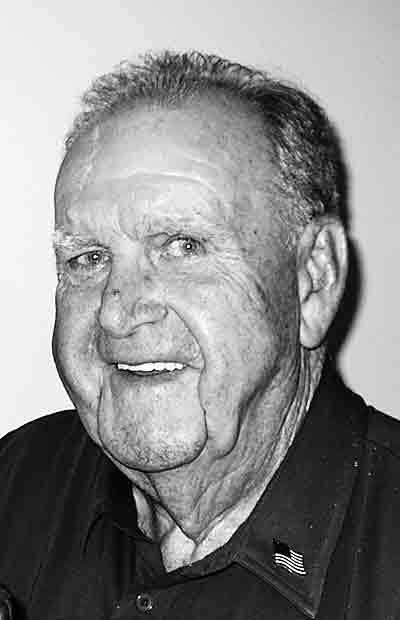 James B. Walker, 90, of Belpre, OH died September 5, 2018 after a long battle with cancer. Jim (or J.B. as he liked to be called) was born March 26, 1928, in Walton, WV, a son of the late George C. and Hattie S. Ellis Walker. He was retired from Corning Glass Works as department head after 30 years of service. Prior to that, he had worked as a foreman at Ford Motor Co. in Michigan and as a surveyor for the WV DOT. Jim was proud to have served in the Army during the Korean War where he led a survey crew in combat areas. He often said he “would do it again if I could”. His greatest joys in life were his friends and family, especially his granddaughter Sonia and great-granddaughters Ayla and Gwen. He had been an avid golfer and enjoyed his outings with Stoney, Jack, and Bob. He was a Master Mason and a member of the VFW. He is survived by son, James P. Walker; daughter, Susan E. Walker, both of Belpre; granddaughter Sonia Nadia Abdelaziz and husband Jeremy Donaldson and their twin daughters Ayla and Gwen Aelson of Devon, England; sister Kate Reynolds of Parkersburg; and many nieces and nephews. In addition to his parents he was preceded in death by his wife of 55 years, Ruth S. Walker; Six sisters, Madelyn Marks; Jean Porter; Betty Lou Walker; Ethel Cox; Dorothy Taylor, and Emma Lowe; and three brothers, Harold, Edward and George Walker. Services will be on Monday at 11:00 AM at the Leavitt Funeral Home, Belpre with Pastor David Hubbard officiating. Burial will follow in the Evergreen North Cemetery, Parkersburg. Friends may call at the funeral home on Sunday from 2:00 to 5:00 PM with Masonic service at 4:45 PM conducted by Belpre Masonic Lodge #609. There will also be a visitation one hour prior to services on Monday. Military graveside services will be conducted by Post 15 of the American Legion.